This contract involved the total re-construction and conversion to residential usage of a Listed Grade 2* barn. The contract was carried out for the owners, John and Sian Kerfoot-Jones. The architect was John Pugh of T.A.C.P. Wrexham. 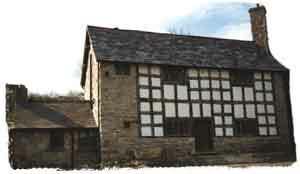 Timber framework to front and rear, and mullioned windows were constructed from oak railway sleepers. 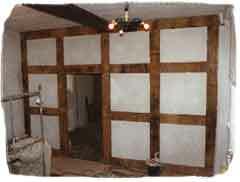 Internal paneled walls were constructed from "green" oak. No modern plasters or plasterboard were allowed on the site. 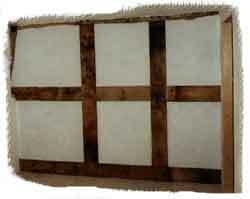 Original lime putty plaster was used both internally and externally.